Mild anxiety can be very helpful. Say, for example, you are about to compete in the Boston Marathon. You have trained extensively for this race and have traveled many miles to arrive at the starting line. You woke feeling slightly nauseous, your palms are sweating and your breathing is shallow and quick. You hear the signal to start and take off at lightening speed. Your anxiety response has served you well. Your body has mounted a sympathetic nervous system response, pumping more blood to your heart and brain, slowing down your digestive system and dilating your eyes so that your vision is improved. This is normal anxiety and improves your performance during things like races, competition and test taking. But what happens when your body starts mounting a response like this in the middle of your day, while sitting at your desk? Or while driving? Or wakes you from sleep in the middle of the night? If you are experiencing some or several of these symptoms with increasing frequency, you should mention these symptoms to your healthcare provider. Medication, therapy, exercise, diet and life-style changes can significantly decrease or eliminate moderate to severe anxiety. Sometimes medications that you are taking for physical health problems like high blood pressure or chronic pain can increase your chances of experiencing anxiety. Medications for birth control, hormone replacement therapy and thyroid dysfunction can also contribute to an excessive amount of anxiety. Be sure and tell your healthcare provider about any medications, prescribed or over the counter, you are taking including supplements and nutritional substitutes. Also be sure to report any physical symptoms like trouble sleeping, fatigue during the day, changes in your perception of hot and cold temperatures, increases in sweating, night sweats, recent changes in medications, numbness or tingling anywhere in the body and changes in skin, hair and nail texture. Visit Wellpsyche.com to schedule an appointment with one of our providers. 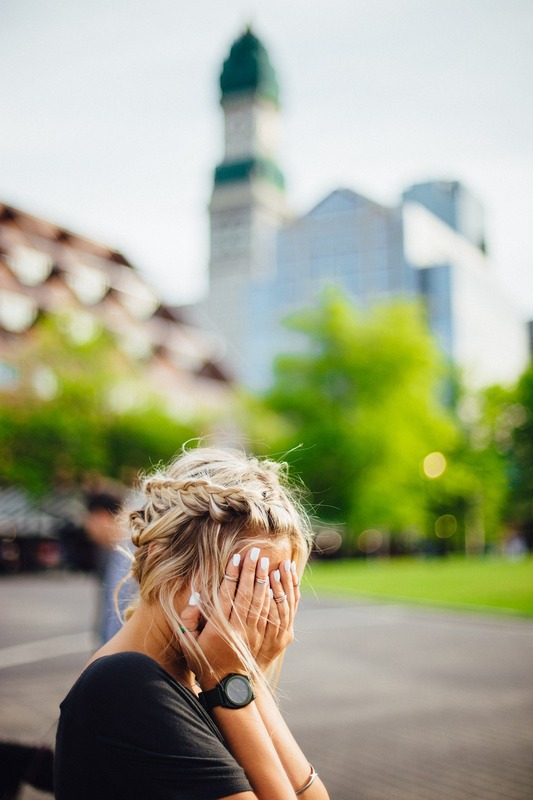 Our providers will discuss your symptoms of anxiety with you, explore potential causes and contributing factors and work with you to develop a well-rounded, holistic plan to treat your anxiety. Next Are you addicted to your screen?